BLUE HILL — Colloquy Downeast will host a talk by Thomas E. Ricks, Deer Isle resident and author of “Churchill & Orwell: The Fight for Freedom”, in July. 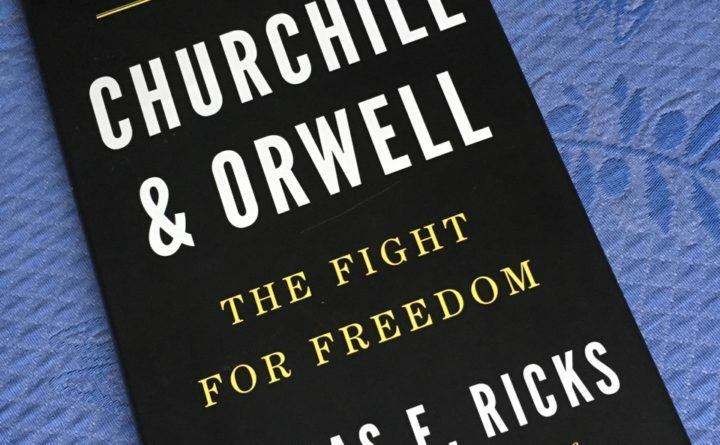 In advance of this talk, a 4 week colloquy to explore Ricks’ book “Churchill & Orwell” will be held 1-3 p.m. Wednesdays, June 6,13, 20, and 27, in the Howard Room at the Blue Hill Public Library. Registration for the colloquy is at www.ColloquyDowneast.org. Over the four sessions, we will discuss Ricks’ book and several of George Orwell’s essays and Winston Churchill’s speeches to understand these writers’ extraordinary power with words. Both men wrote in opposition to totalitarian governments and in defense of the individual’s “right to think, speak, and act independently.” Churchill received the 1953 Nobel Prize in Literature and Orwell’s “Animal Farm” and “1984” have remained in print continuously since their first publication. Thomas E. Ricks lives in Deer Isle, ME and is the adviser on national security at the New America think tank and a member of its project on the “Future of War.” He is also a contributing editor to Foreign Policy magazine and covered the U.S. military for The Washington Post and The Wall Street Journal. Ricks, is the author of six books, including “The Generals”, “Making the Corps”, and “Fiasco”, which was a finalist for the Pulitzer Prize and a New York Times list bestseller. The talk by Thomas E. Ricks will be on Friday, July 13, at 4:00 pm in the Esther Wood room at George Stevens Academy, Blue Hill. It is free and open to the public.